Construction Firm Doubles Sales. Remains Crazy Busy. A commitment to core values — and to do the work others won’t — drives rapid growth at J2 Solutions. J2 Solutions founder and President Jess Fronckowiak believes in the power of the first day. Like the time recently the Venice-based construction company, which has doubled revenue and payroll, to $16 million and 50 people, respectively, since 2015, brought a donkey to the office parking lot. The donkey was in honor of a new employee’s first day with the company — and that person’s belief that his prior employer was equivalent to the other word people use for donkey. Even before an employee’s first day the company sends a letter the newbie’s spouse or partner, thanking them and welcoming them to J2. There are other, post-first day perks at the company that Fronckowiak and J2 Executive Vice President David Fouche believe provide separation in the all-out industry battle to land employees. That includes two major parties a year, one around Christmas and a summer BBQ, the latter of which includes families and more than $10,000 in prizes for employees. The company also recently added health care programs and profit sharing. The company’s energy and focus on culture has paid off, says Fronckowiak, in high retention rates. That, in turn, has helped the company win more construction projects in health care, including hospital and senior living work. Health care is about 55% of the company’s business, with the other work coming from general commercial, retail and education projects. 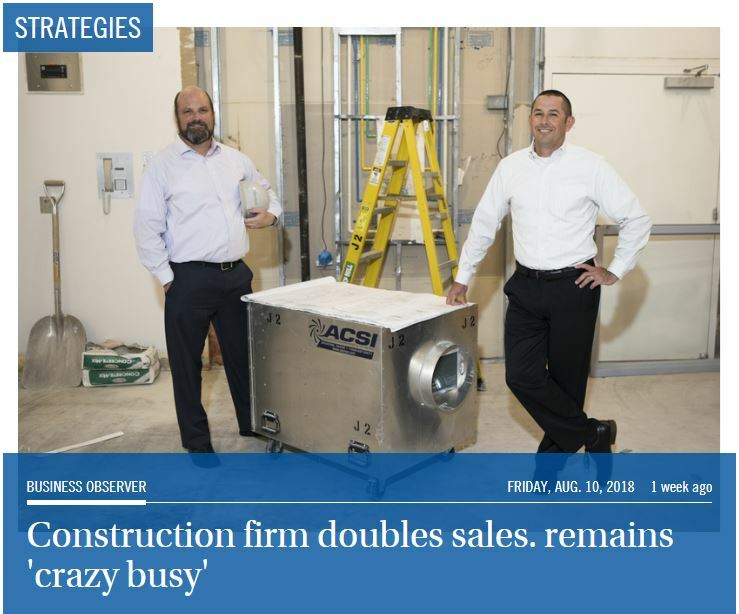 Combined with the ongoing industry surge, J2 is significantly bigger than when Fronckowiak took on home renovations a decade ago to survive the recession. Outside the market, Fronckowiak traces the company’s growth to a move three years ago to create and focus on 15 core values. The list includes servant leadership, excellent performance and follow the Golden Rule.